Alison Thewliss MP encourages everyone in Glasgow Central to run, jog, walk or volunteer at a ‘parkrun’ on the weekend of the 1st and 2nd of October, to help celebrate the 12th anniversary of the running phenomenon. There are parkruns currently taking place in 440 Constituencies each weekend, with more events launching every week. parkrun UK supports local volunteers to establish and deliver free, weekly, timed runs for their communities, which are accessible to both runners and walkers of all ages and abilities. Saturday 5k events are open to everyone, and 2k junior parkrun on Sunday is for children aged from 4-14. Since the first parkrun in London’s Bushy Park in 2004, more than one million people in the UK have taken part. Each weekend sees around 90,000 runners and walkers participating in the free 5k and 2k events, thanks to the contribution of 10,000 volunteers. “parkrun and junior parkrun are two of the most accessible activities you will find anywhere. They are completely free, open to anyone and perfect for families because they can participate together. “Our aim is to break down the barriers to regular physical activity and volunteering, both for organisers and participants. We are proud to support local volunteers in more than 500 locations around the UK who provide parkrun to their communities every weekend. Earlier this month around 50 MPs attended a parkrun Parliamentary Reception hosted by Graham Evans MP, the Chair of the All Party Parliamentary Group for Running. 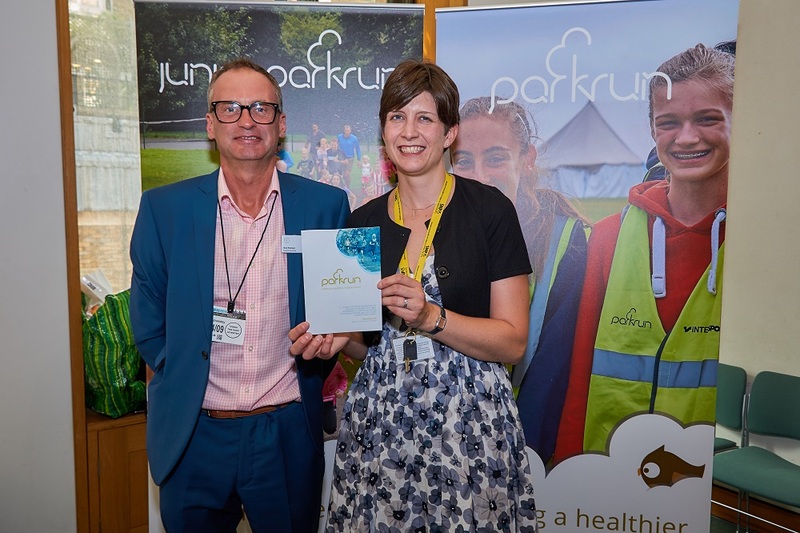 The Reception provided parkrun UK with an opportunity to explain more about how it is supporting local communities to promote regular physical activity and volunteering.